One of Robin Williams’ many attributes was his ability to defy expectations, as he deftly mixed in comedy and drama throughout his career. 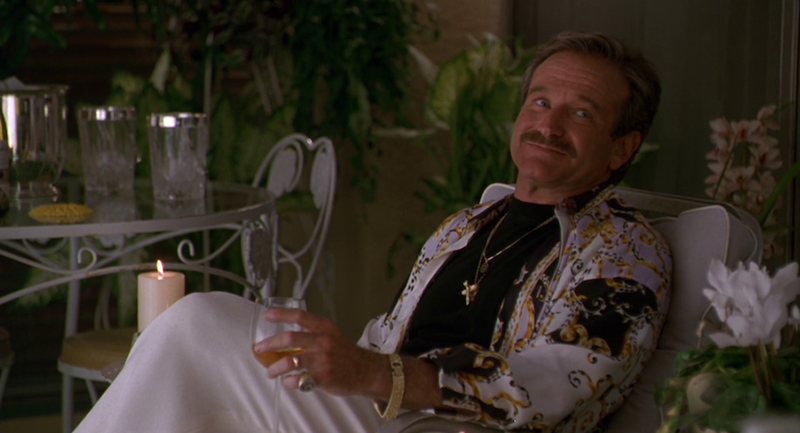 With the 1996 hit film The Birdcage, Williams was initially offered the showier part of Albert Goldman, a role which Nathan Lane knocked out of the park. Williams decided to play Armand Goldman, a part which was much more conservative and buttoned down. Click on the media bar to hear Robin Williams reflect on his career and why there was a “double drive” when it came to his acting journey. To listen to more interviews from The Birdcage, check out the latest episode of Matt and Greg Used To Interview Movie Stars.